In contrast to Terri's abundantly blessed blessed and devout Christian life today, Terri was born into deep poverty in a tiny house in Louisiana. She was raised by a teen aged single parent and has never know her dad. She grew up in an alcohol and drug environment and was abused and neglected. This negative upbringing was a catalyst to her destructive lifestyle for many years. Although she attended many churches, she did not hear the gospel until her early twenties. In the early eighties, while going through some difficult times and marriage woes, she got on her knees and cried to God for help. Within two years she was led to God's answer to her prayer. Yet due to heavy baggage from her past, it took many more years for her to be set free. (John 8:32) But God in his perfect timing began to make some significant changes in her life, and started to reveal his purpose for her. In 1997, Terri was laid off from a job she adored but it was a blessing in disguise. Yet in 1998, to everyone's shock, Terri launched her own publishing company. She didn't even know God gave her the gift of writing! 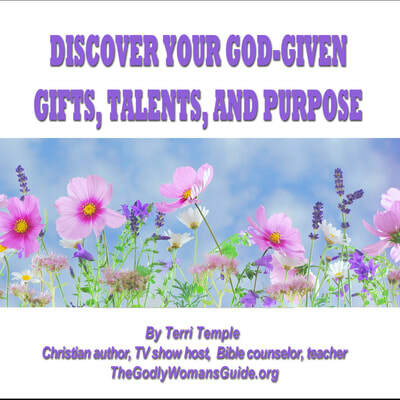 However, after receiving rave reviews for her published works, Terri was honored with many accolades including 2002 Women of Great Vision and Pioneer of Nevada. 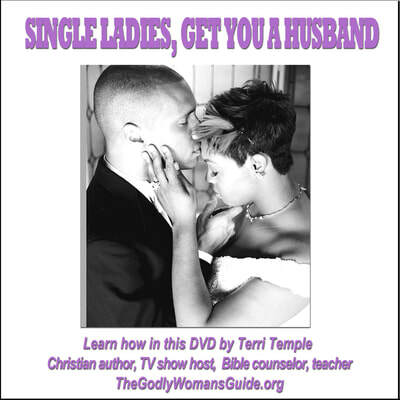 Although Terri achieved much success with her writings, she was not happy although she had been a member of the Lord's church for nearly twenty years. She finally realized God had even greater plans for her life and her heart belonged with biblical heroes who had an overwhelming desire to please God and to live for him alone. 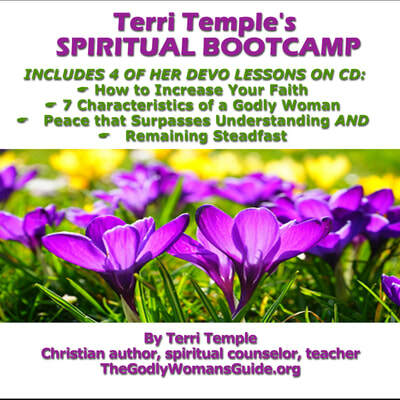 So one Sunday morning while attending worship service, Terri decided in her heart that she no longer wanted to be an average church member that greatly outnumbered the few. But to make a huge difference in the church and the world. 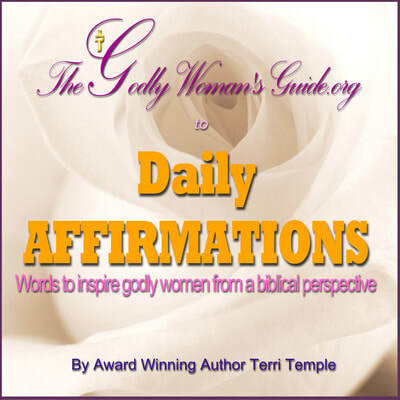 This choice allowed God to greatly transform her life. 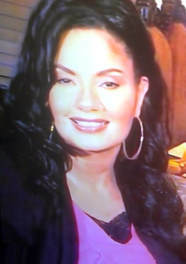 However, within a few months Terri became extremely ill and was bedridden for months. For over a year doctors could not diagnose her illness and she suffered a great deal. 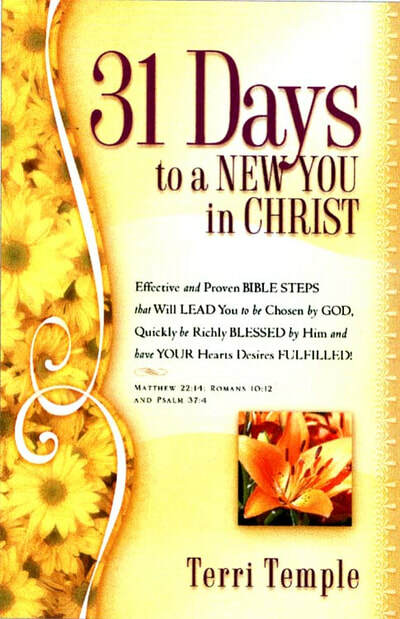 Finally towards the beginning of her recover, God revealed to her that he had heard her decision to reach higher spiritual ground and was literally placing her on the path he desired for her. So in 2006, this intervention led her to steer her publishing company in the Christ centered arena where she and God had wanted it all along. During the past thirty years and despite the huge odds against her, Terri has garnered much experience and has excelled in many areas including event planning, production, web site design, editing, publishing, and public speaking. She also has benefited many companies including Adobe, Citibank, and GE Capital to name a few. Today, besides being a devout Christian and a woman of great faith, hope, and love she is an author, publisher, speaker, and adviser. Her daily schedule is filled with studying God's Word, joyfully spending time with her family, volunteering the the church and local charities helping the poor and needy and orphaned and widows. (James 1:27) She lives out west with her husband of 35 years, who is a gospel preacher in the Lord's church.